In short, Professional Physical Therapists in Colorado must have a minimum 30 points of continuing education by November 1 (even-years). Look for this seal on any CEU course you are considering attending. This seal indicates the course has been verified by the APTA Colorado to meet the licensure renewal requirements. APTA Colorado providers professionals in our state with a rigorous course review system. Our system provides therapists and the CEU Providers serving our state with reassurance that courses being verified meet a high standard and will be acceptable as proper course content for the purposes of licensure renewal. Beginning in 2018, all CEU Providers (of courses) in Colorado will utilize our new CEU Locker system for making course approval applications, maintaining list of credits and submitting payments for all aspects of this process. The new CEU Locker system is a shared system for many Physical Therapy Components that provides a fast, convenient centralized location to get approvals in several states by completing and storing your paperwork requirements only one time. 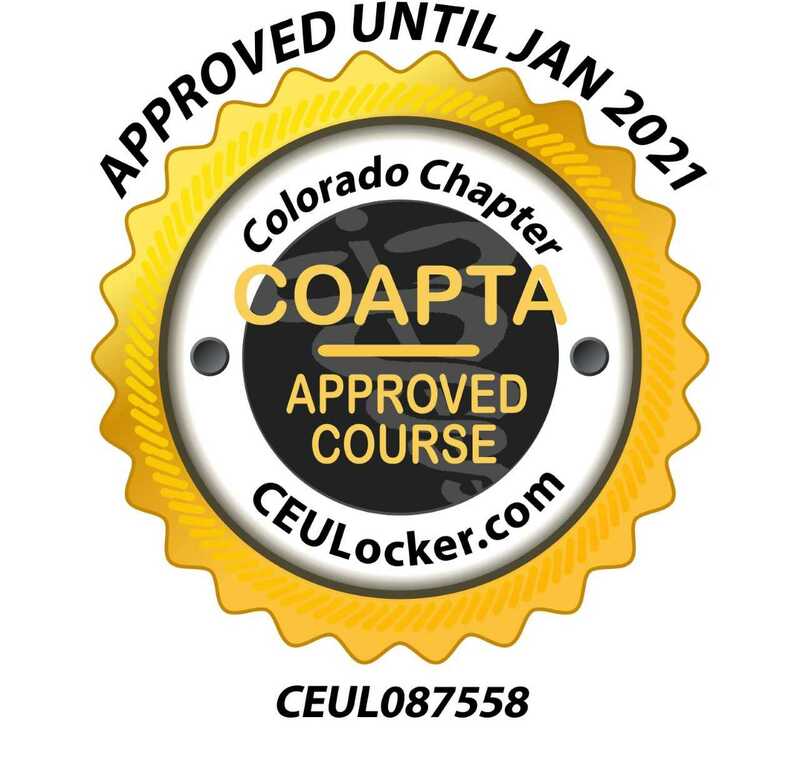 Brought to you by the Colorado Chapter, the CEU Locker provides secure, long term storage for your continuing education credit needs. Helping keep you organized and your practice protected, we hope you find our new system eases and streamlines the management and record-keeping required for CO state licensing requirements.